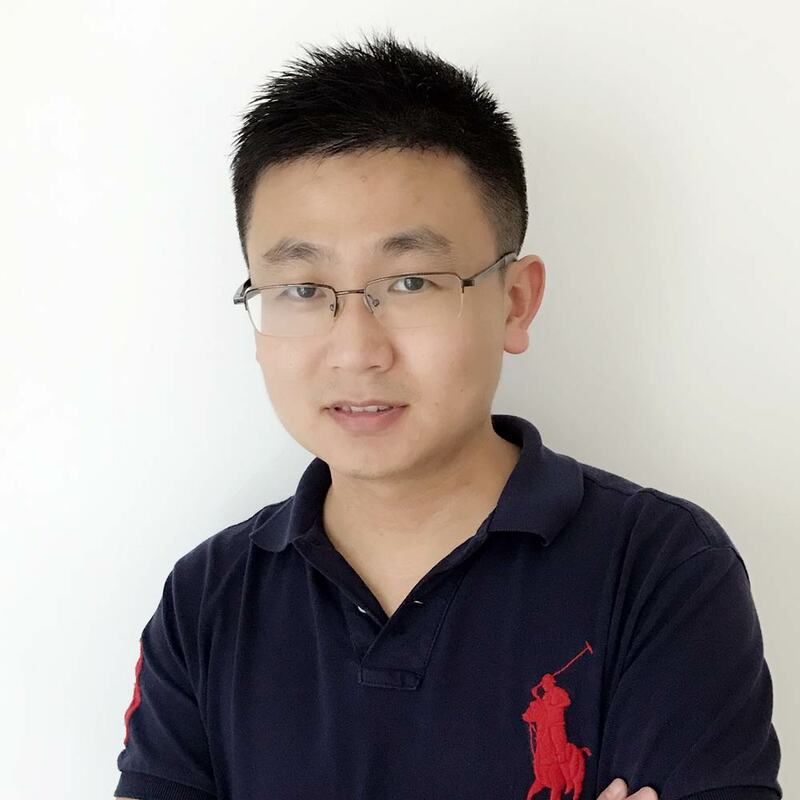 Yang Yang (S’11–M’14-SM’17) was born in Bayan Nur, Inner Mongolia, China and received MEng, MSc, Ph.D degrees from Monash University, Melbourne, Australia, in 2007, 2008 and 2013, respectively. From 2012 to 2015, he was an Asia-Pacific GSP Engineer at Rain Bird and a Global GSP Success Award holder of the year 2014. He served as a Senior Research Associate with Department of Engineering, Macquarie University, Sydney, during April 2015 to April 2016. From April 2016 to December 2016, he was a Research Fellow with State Key Laboratory of Millimeter-Waves, City University of Hong Kong. In December 2016, Dr Yang Yang joined School of Electrical and Data Engineering, University of Technology Sydney. His research interests include RFIC, microwave, millimeter-wave and terahertz devices/circuits, reconfigurable antennas, wearable antennas, wearable medical devices, sensors and remote sensing techniques. Dr Yang has published over 100 peer-reviewed publications. To date, he has published 1 book, 2 book chapters, 8 invited papers and 45 SCI journal papers, including 30 top-tier JCR-Q1 IEEE journals. He is an IEEE Senior Member and a current Associate Editor of IEEE ACCESS. Best student paper nomination in 2018 Australia Microwave Symposium, Brisbane, Australia, Feb. 2018 (supervised PhD student). Best student paper nomination (24 out of 390) in 2017 IEEE MTT-S International Microwave Symposium, Honolulu, Hawaii, Jun 2017 (supervised PhD student). Advanced Practice Competition nomination in 2017 IEEE MTT-S International Microwave Symposium, Honolulu, Hawaii, Jun 2017(supervised PhD student). IEEE EDL Editor’s Picks (top three) in Issue May 2017. Y. Zhong, Y. Yang, X. Zhu, E. Dutkiewicz, K. M. Shum and Q. Xue, “An On-Chip Bandpass Filter Using a Broadside-Coupled Meander Line Resonator with a Defected-Ground Structure,” IEEE Electron Device Lett., vol. 38, no. 5, pp. 626–629, May 2017 (supervised PhD student). Reviewer of IEEE Transactions on Antennas and Propagation (TAP), IEEE Transactions on Microwave Theory & Techniques (TMTT), IEEE Antennas and Wireless Propagation Letters (AWPL), IEEE Microwave and Wireless Components Letters (MWCL), IEEE Electron Device Letters (EDL), IEEE Sensors Journal, IEEE Access, Sensors and Actuator, IET Electronics Letters (EL), IET MAP, etc. This book presents the design, development and field trials of radio frequency based wireless monitoring system for sleep apnoea patients. It contains 4 major areas including general background of wireless monitoring technology and MIMO in wireless body area network (WBAN), microwave hardware designs, virtual MIMO in WBAN and hardware system level implementation and field trials. At components level, this book presents the design theory, process and examples of bandpass filters, lowpass filters, low profile patch antennas, power amplifiers and oscillators which are the key elements in transducer designs in the body area network and cooperative communication wireless sensor network system. At system level, this book features the hardware integration, field trial and network coding techniques. This book also gives a presentation of virtual MIMO applications, e.g. MIMO implementation using FPGA, correlation coefficient measurement and correlation coefficient measurement. The book will create impact in the fields of wireless monitoring technology in biomedical engineering, which have been growing exponentially. © 2019 Elsevier B.V. Graphene based three-layer compound film on the silicon substrate is formed by gold deposition of electron beam evaporation (EBE) and graphene transfer. Processed with different high temperature annealing in nitrogen, the film with residual tensile stress of 52.58 MPa at 500 can be achieved by using an X-ray diffraction (XRD) method. Based on this low stress film, a series of long lifecycle MEMS double-clamped beams (DCBs) are fabricated by the standard MEMS manufacturing technology. The achieved beam can be turned on/off for up to 100 million times at the pull-in voltage of 30 V, which is compatible with the conventional, complementary metal-oxide-semiconductor (CMOS) circuit requirements. © 2019 IEEE. In this paper, a novel design approach is proposed for on-chip bandpass filter (BPF) design with improved passband flatness and stopband suppression. The proposed approach simply uses a combination of meander-line structures with metal-insulator-metal (MIM) capacitors. To demonstrate the insight of this approach, a simplified equivalent LC-circuit model is used for theoretical analysis. Using the analyzed results as a guideline along with a full-wave electromagnetic (EM) simulator, two BPFs are designed and implemented in a standard 0.13-m (Bi)-CMOS technology. The measured results show that good agreements between EM simulated and measured results are achieved. For the first BPF, the return loss is better than 10 dB from 13.5 to 32 GHz, which indicates a fractional bandwidth (FBW) of more than 78%. In addition, the minimum insertion loss of 2.3 dB is achieved within the frequency range from 17 to 27 GHz and the in-band magnitude ripple is less than 0.1 dB. The chip size of this design, excluding the pads, is 0.148 mm 2 . To demonstrate a miniaturized design, a second design example is given. The return loss is better than 10 dB from 17.3 to 35.9 GHz, which indicates an FBW of more than 70%. In addition, the minimum insertion loss of 2.6 dB is achieved within the frequency range from 21.4 to 27.7 GHz and the in-band magnitude ripple is less than 0.1 dB. The chip size of the second design, excluding the pads, is only 0.066 mm 2 . IEEE The well-known Internet-of-things is recently being considered for critical missions, such as search and rescue, surveillance and border patrol. One of the most critical issues that these applications are currently facing is how to correctly distinguish between human and animal targets in a cost-effective way. In this work, we present a relatively low-cost but robust approach that uses a combination of device-free sensing and machine-learning technologies to tackle this issue. In order to validate the feasibility of the presented approach, a variety of data is collected in a cornfield using impulse-radio ultra-wideband transceivers. These data are then used to investigate the influence of different statistical properties of the RF signal on the accuracy of human/animal target classification. Based on the probability density function of different statistical properties, two distinguishing features for target classification are found, namely standard deviation and root mean spread delay spread. Using them, the impact on the classification accuracy due to different classifiers, number of training samples and different values of signal-to-noise ratio is extensively verified. Even with the worst case, the classification accuracy of the system is still better than 91targets (including goats and dogs), which indicates that the presented approach has a great potential to be deployed in the near future. © 2018 IEEE. The quasi-elliptic multi-mode bandpass cavity filters and duplexer with slot mixed-coupling structure are proposed in this paper. A single metal cavity embedded with a rectangular-shaped slot-cut metal plate is utilized to constitute a multi-mode bandpass filter with a few features including wide passband, low profile and controllable transmission zeros (TZs). In this paper, the slot-cut metal plane serves as the multi-mode resonators. In detail, the slot on the metal plane functions as the circuit element to move the higher order modes within the reasonable frequency-band, while serving as a mixed-coupling structure to generate out-of-band transmission zeros. To demonstrate the multiple-mode capability in filter design, the dual-mode, triple-mode, and quadruple-mode filters are developed by appropriately allocating a few TZs in the upper stopbands using the proposed slot mixed-coupling approach, namely, Type-I filters. Next, a quadruple-mode cavity filter with both lower and higher TZs is designed, namely, Type-II filter, which is further applied for the exploration of a duplexer. Finally, the filter and duplexer prototypes are fabricated and measured. The measurement results are found in good agreement with the simulated ones. © 1963-2012 IEEE. This communication presents new designs of dual-circularly polarized (CP) planar aperture antenna and array for 60 GHz applications. First, a four-port planar aperture antenna with its feeding network is developed that exhibits wide impedance bandwidth, dual-CP radiation as well as high gain. Then, based on the proposed antenna, a new scheme of building a dual-CP array is proposed. With this new scheme that combines the power splitting network and series feeding method, four sequentially fed antenna elements are successfully combined to form a CP radiation array. The experimental results show that the -10 dB impedance bandwidths of the antenna and the array are more than 18.2% (55-66 GHz). While the 3 dB axial ratio bandwidths are from 54.2 to 64.3 GHz (17.2%) for the antenna and from 54.8 to 65 GHz (17%) for the array. The maximum gains achieved are 13.7 and 17.85 dBic for the antenna and array, respectively. IEEE Load-variation insensitivity, for impedance matching between power amplifiers (PAs) and transmitting antennas, contributes to challenging the design of millimeter-wave wireless systems. In this paper, a W-band two-way balanced PA based on a compact quadrature coupler with a broadside coupled strip-line (BCSL) as the core is presented to enhance the load-variation insensitivity and stability. The proposed coupler is truly broadband with low amplitude and phase imbalance. The proposed $W$-band balanced PA achieves higher power-added efficiency (PAE) and unsaturated output power Psat over wide frequency bandwidth. The W-band balanced PA is implemented in a 0.13- & #x03BC;m SiGe BiCMOS process and achieves a measured Psat of 16.3 dBm and a peak PAE of 14.1 & #x0025; at 100 GHz (with 1.6-V power supply). The measured Psat with 1-dB bandwidth is from 91 to 102 GHz. The measured results present the feasibility of the compact quadrature coupler. The total chip surface area (with pads) is 0.64 mm & #x00B2;, where the size of the proposed quadrature coupler area is only 0.04 mm & #x00B2;. © 1963-2012 IEEE. A novel 360° beam steering patch antenna with parasitic elements is presented in this paper. The designed antenna consists of a radiating patch and six parasitic elements, each of which is connected through a group of shorting vias controlled by p-i-n diode switches. By switching on the desired groups of the shorting vias, the electric field distribution inside substrate cavity appears at the desired beam direction. Rotationally switching on the groups of the shorting vias, the performance of 360° beam scanning is realized. To further understand operating mechanism, the antenna is modeled with equivalent circuit in terms of the on and off status of a sector of the antenna, which can be used as a design guide for shorting-vias-controlled reconfigurable microstrip patch antennas. The fabricated antenna achieves a bandwidth of 14.5%, a peak gain of 10 dBi, and the efficiency of 80.5%. The achieved beamwidths are 42° and 97° in azimuth and elevation planes, respectively. With an ability of being steered around zenith axis at six directions, the scanned beam range covers the entire 360°. The physical dimension is only 2.5 g for the size and 0.5 g for the profile. This antenna operates from 5.1 to 5.9 GHz and has significant meaning in the IEEE 802.11ac wireless local area network applications due to its capabilities of generating 360° steered beams. © 1963-2012 IEEE. A novel concept for the two-in-one design with the integration of filters and antennas, using a single cavity, is presented in this communication. Basically, a triple-mode resonator (TMR) is utilized as a common feeder to achieve filtering and radiating functions at three different frequency bands. Each of the three bands adopts one of the three fundamental modes, namely, TE011, TE101, and TM110, in a single TMR to realize the relevant functions. Owing to the modal orthogonality of these fundamental modes, high isolation can be effectively realized among these three channels. Based on the proposed TMR, three different prototypes are designed for different applications. For the first prototype, the structure of a dual-band filter plus an antenna is presented using a second-order TMR. Based on the combination of a duplexer plus an antenna, the second prototype is attained. To further explore the function of the proposed TMR, the structure of a filter plus a dual-polarization antenna is depicted as the third prototype. For verification, the third prototype is fabricated and tested. Good agreement between the simulated and the measured results is achieved, which proves the feasibility of the proposed design methodology. © 1963-2012 IEEE. In this paper, design of an ultracompact bandpass filter (BPF) in GaAs technology without compromising its electrical performance is investigated by means of both theoretical analysis and electromagnetic simulation. In particular, the relationship between the external quality factor and the coupling coefficient of the second-order BPF is formulized to better understand the principle of the mutual coupling effect. To prove the concept, the designed filter is implemented in a commercial 0.1-m GaAs technology. A step-by-step design guideline is elaborated. The BPF has not only the merits of ultracompactness, but also remarkable insertion loss (IL) compared with other state-of-The-Art on-chip designs. The measurement results show that the 1-dB bandwidth of the BPF is from 28 to 36 GHz, while the IL is less than 1 dB at 29.5 GHz. In addition, more than 40-dB rejection is achieved from 56 to 69 GHz. The size of the filter is only 230 × 280 m2, excluding the pads, which is equivalent to 0.074 × 0.09 g m2} at 28 GHz. To the best of our knowledge, the proposed design is known to be the most compact one in the open literature using GaAs technologies. © 2018 The Author(s). Periodic corrugated metal structure is designed to support and propagate spoof surface plasmon polaritons (SSPPs) wave in the microwave frequencies. In this paper, firstly a plasmonic waveguide consisting of oval-ring shaped cells is proposed with the performance of high transmission efficiency in a wide frequency range. The coplanar waveguides (CPWs) with 50 impedance are adopted to feed the energies or extract signals at both ends of the plasmonic waveguide. Then a well-isolated power divider is constructed based on the SSPPs waveguides aiming to equally split the energy of the SSPPs wave into two equal parts. The stepped-impedances are co-designed with the three input/output ports of the power divider to achieve the impedance-matching between the SSPPs waveguides and the coplanar waveguides. Besides, a single resistor is placed in the middle of two symmetrical half oval-rings to realize the isolation between the two output ports over the spectrum of 4.5-7.5 GHz. Finally, both plasmonic waveguide and the power divider are fabricated and tested to verify the predicted characteristics. © 2018 Elsevier B.V. A new and simple design of photo-excited broadband to dual-band tunable terahertz (THz) metamaterial cross polarization converter is proposed in this paper. The tunable converter is a sandwich structure with the center-cut cross-shaped metallic patterned structure as a resonator, the middle dielectric layer as a spacer and the bottom metallic film as the ground. The conductivity of the photoconductive semiconductor (Silicon) filled in the gap of the cross-shaped metallic resonator can be tuned by the incident pump power, leading to an easy modulation of the electromagnetic response of the proposed converter. The results show that the proposed cross-polarization converter can be tuned from a broadband with polarization conversion ratio (PCR) beyond 95% (1.86–2.94 THz) to dual frequency bands (fl=1.46 THz & fh=2.9 THz). The conversion peaks can reach 99.9% for the broadband and, 99.5% (fl) and 99.7% (fh) for the dual-band, respectively. Most importantly, numerical simulations demonstrate that the broadband/dual-band polarization conversion mechanism of the converter originates from the localized surface plasmon modes, which make the design simple and different from previous designs. With these good features, the proposed broadband to dual-band tunable polarization converter is expected to be used in widespread applications. © 1980-2012 IEEE. This letter proposes a compact and broadband quadrature coupler with a center frequency of 55 GHz, which consists of a 90° broadside coupled-line to support the differential signal propagation and two T-type L-C networks to support the common signal propagation. To analyze the proposed coupler, an equivalent circuit model is provided for estimation of the distributed and lumped component values. The measured results of the proposed on-chip quadrature coupler show that the return loss and isolation are greater than 20 dB with a bandwidth of 105%, while the insertion loss is about -0.85 dB. The magnitude imbalances are less than 1 dB within the bandwidth of 56% and the phase differences are with ±1° errors within the bandwidth of 96.9%. The chip size, excluding the test pads, is only 0.31 × 0.22 mm2. © 1963-2012 IEEE. A highly integrated three-state diplexer (TSD) on a single planar elliptical structure is for the first time presented in this paper. Three resonant modes are investigated in a planar elliptical resonator, e.g., two TM11 degenerate modes and one TM21 mode. These three resonant modes are designed to form three filtering channels, which are further combined to generate three states of a diplexer, namely, TSD. The planar elliptical triple-mode resonator is fed by three microstrip lines to form a triple-mode TSD. In order to validate the concept, the designed planar TSD is fabricated and measured. The measured results are in good agreement with the simulated ones. © 1963-2012 IEEE. A new approach to realize robust, flexible, and electronically tunable wearable antennas is presented. Conductive fabric is used to form the conducting parts of the antenna on a polydimethylsiloxane (PDMS) substrate. Then the antenna and the lumped (active and passive) elements, required for electronic tuning and RF choking, are fully encapsulated with additional layers of PDMS. As a concept demonstration, a new frequency-reconfigurable antenna has been designed and fabricated. The details of the prototype manufacturing process are described. Two UWB human muscle equivalent phantoms were also fabricated for testing purposes. Furthermore, the antenna was subjected to several investigations on its RF performance (both in free space and on a flat phantom) and mechanical stability. The latter includes bending tests on several locations on a human-body shaped phantom and washing in a household washing machine. Good agreement between predicted and experimental results (both in free space and on the phantom) is observed, validating the proposed concept. The tests demonstrated that lumped components and other antenna parts remained intact and in working order even under extreme bending (to a bending radius of 28 mm) and after washing, thus maintaining the overall antenna performance including good frequency reconfigurability from 2.3 to 2.68 GHz. To the best of our knowledge, all these features have never been demonstrated in previously published electronically tunable antennas. IEEE This letter proposes a compact and low-loss on-chip bandpass filter (BPF) design in (Bi)-CMOS technology. The proposed BPF consists of a self-coupled folded-line resonator (SCFLR) and a pair of metal-insulator-metal (MIM) capacitors. The proposed resonator has a property of flexible self-resonant-frequency (SRF) to form a transmission zero (TZ), which is analyzed in details by a simplified LC equivalent circuit. Moreover, the parametric studies of the feeding capacitance for the proposed BPF design have been performed to demonstrate the tenability of the resonant frequency. For verification, the proposed BPF is fabricated in a standard 0.13-μm (Bi)-CMOS technology. The measured results show that the proposed BPF has a notch with 25.4 dB suppression at 65 GHz and an insertion loss of 1.66 dB in the passband. The chip size of the device, excluding the test pads, is only 0.009mm2 (0.11 × 0.086mm2). © 2018 IEEE. A novel concept and approach for integration of a three-state diplexer (TSD) by utilizing the triple-mode cavity resonators is proposed in this paper. The proposed TSD has the inherent nature of three frequency channels, two of which can be utilized for duplexing channels by exciting one port as the input in each state. Meanwhile, three fundamental modes, namely, TE 011 , TE 101 , and TM 110 , are excited in the triple-mode resonators (TMRs) to control these three frequency channels. Without utilizing any junction networks for impedance matching, the required values of the external quality factors and coupling coefficients can be extracted to meet the relevant Chebyshev responses in the three bands of the TSD, simultaneously. Owing to the modal orthogonality among the three fundamental modes, high isolation among these three frequency channels can be effectively achieved. For proof of concept, two design examples of the TSD structures are presented with different topologies. For both examples, four and six TMRs are adopted, respectively, where the predicted three frequency channels of the TSD can be successfully excited with excellent channel isolations. The fabricated prototype shows good agreement between the simulated and measured results verifying the feasibility of the proposed design methodology. © 1963-2012 IEEE. This communication presents a new design of a quadri-polarization-agile aperture-coupled patch antenna array for 60 GHz applications. Four polarization states, namely, vertical linear polarization, horizontal linear polarization, left-hand circular polarization (LHCP), and right-hand circular polarization (RHCP) can be flexibly reconfigured by dynamically switching the excitation of the corresponding port. More importantly, as the LP and CP radiations are achieved by using differential feeding and sequential-rotation feeding, respectively, the array exhibits wide impedance and axial ratio (AR) bandwidths, high polarization purity as well as symmetrical pattern with the main beam fixed at boresight. The-10 dB impedance bandwidths are better than 11.6% (57-64 GHz) for the four polarization states. The measured AR bandwidths are from 58 to more than 64 GHz for both the LHCP and RHCP. The good radiation performance together with the quadri-polarization-agile capability of this new array, as demonstrated in the communication, underlines its suitability for the future 5G communication systems, especially in a multipath propagation environment. © 2013 IEEE. We present our study on polydimethylsiloxane (PDMS)-embedded conductive fabric, which we propose as a simple yet effective solution to the challenging issue of poor PDMS-metal adhesion, allowing for a relatively easy realization of robust flexible antennas for wearable applications. The method combines the use of conductive fabric as a radiator with PDMS, which acts as the substrate and a protective encapsulation simultaneously. For the first time, a holistic study on the mechanical and electrical properties of the proposed combination of materials is presented thoroughly using a number of fabricated samples. As concept demonstrations, a microstrip patch and a reconfigurable patch antenna are fabricated using the proposed technique to validate the idea. The inclusion of a PDMS-ceramic composite as part of the antenna's substrate, which leads to over 50% reduction in the size compared with a pure PDMS, is also demonstrated to showcase further the versatility of the proposed technique. The fabricated antennas are tested in several wearable scenarios and consistent performance including reconfigurability is obtained even after the antennas are exposed to harsh environments, i.e., extreme bending and machine-washing. © 2018 IEEE. In this paper, a novel on-chip circuit design approach is proposed using hybrid coupling technique. Taking advantage of this technique, a microwave bandpass filter (BPF) is proposed as a design example for proof of concept. Based on stub-loaded stepped-impedance transmission lines and folded stepped-impedance meander line from different metal layers, the proposed BPF can generate three transmission zeros (TZs) and two transmission poles (TPs), which are excited through the hybrid mutual couplings between the inductive and capacitive metals. To understand the principle of this configuration, an equivalent LC-circuit model is presented and simplified, of which the TZs and TPs of the proposed BPF are estimated by the extracted transfer function. The calculated results exhibit good agreements with the simulated and measured ones. In addition, the bandwidth and center frequency of the proposed BPF can be tuned flexibly. Finally, to further demonstrate the feasibility of this approach in practice, the structure is implemented and fabricated in a commercial 0.13- m SiGe (Bi)-CMOS technology. The measurement results show that the proposed BPF, whose chip size is 0.39 mm × 0.45 mm (excluding the test pads), can realize a wide bandwidth from 19.7 to 33.2 GHz with a return loss of 15.8 dB and insertion loss of 3.8 dB at the center frequency of 26.5 GHz. © 1980-2012 IEEE. In this Letter, a flexible approach for low-loss on-chip bandpass filter (BPF) design in CMOS technology is presented. The proposed approach takes the advantages of a combination of an edge-coupled electromagnetic structure, namely resonator, and a pair of metal-insulator-metal capacitors for BPF implementation. To demonstrate the insight of the approach, the designed resonator is analyzed in details by means of a simplified equivalent LC-circuit model. Then, the impact on the BPF design due to the variations of the feeding capacitance is investigated. To prove the concept, both the resonator and BPF are fabricated in a standard 0.13- m CMOS technology. The measured results show that the designed resonator can generate a notch with 20-dB attenuation at 59.4 GHz, while the BPF has a center frequency of 35.4 GHz with an insertion loss of 1.7 dB. The chip size of both devices, excluding the test pads, is only 0.039 mm2(0.15 × 0.26 mm2). © 2018 IEEE. This paper introduces a unique approach for the implementation of a miniaturized on-chip resonator and its application for the first-order bandpass filter (BPF) design. This approach utilizes a combination of a broadside-coupling technique and a split-ring structure. To fully understand the principle behind it, simplified LC equivalent-circuit models are provided. By analyzing these models, guidelines for implementation of an ultra-compact resonator and a BPF are given. To further demonstrate the feasibility of using this approach in practice, both the implemented resonator and the filter are fabricated in a standard 0.13-m (Bi)-CMOS technology. The measured results show that the resonator can generate a resonance at 66.75 GHz, while the BPF has a center frequency at 40 GHz and an insertion loss of 1.7 dB. The chip size of both the resonator and the BPF, excluding the pads, is only 0.012mm2 (0.08 × 0.144 mm2). © 2001-2012 IEEE. In this letter, a C-band compact wideband bandpass filter (BPF) with high selectivity and improved return loss (RL) is proposed. Two pairs of short-circuited stubs are employed on a transmission-line model to generate three transmission poles and two transmission zeros (TZs), where the odd-and even-mode analysis is used to analyze the resonant frequencies of the BPF. By applying the transversal signal-interference technique, two additional TZs can be generated in the upper and lower stopbands, respectively. The measured results show that the 3-dB fractional bandwidth is 62.8% at the center frequency of 5 GHz. The RL and the insertion loss within the passband are better than 22 and 0.6 dB, respectively. Moreover, the roll-off rate is up to 100 dB/GHz. © 2018 IEEE. In this paper, two third-order bandpass filters (BPFs) designed for millimeter-wave applications are presented. Unlike previously published ones, the proposed designs use a "cell-based" approach, which utilizes identical broadside-coupled resonators (BCRs) with series and shunt capacitors. The capacitors are mainly used as J -inverters to achieve the desired frequency responses. To fully understand the operational mechanism of the presented approach, both the BCR and BPFs are analyzed using the simplified LC-equivalent circuit models. To prove the concept, both BPFs are implemented in a standard 0.13- m silicon-germanium bipolar complementary metal-oxide-semiconductor technology. According to the on-wafer measurement results, the BPFs exhibit the excellent performance including flat in-band responses with relatively large harmonic suppression. The first design has a 1-dB bandwidth from 23.9 to 39.7 GHz with an insertion loss of 3.9 dB at the center frequency of 31 GHz. The stopband attenuation is better than 45 dB at 58 GHz. The 1-dB bandwidth of the second design covers from 26.7 to 44.3 GHz with an insertion loss of 3.1 dB at the center frequency of 35 GHz, and stopband attenuation up to 35 dB is achieved at 59 GHz. Both designs occupy an identical area of 0.073 mm 2 (0.248×0.294 mm 2 ), excluding the G-S-G testing pads. © 2016 IEEE. Advanced micromachining technology has made magnificent progress for fabrication of non-planar circuits. Using this technology, circuits and systems can be implemented in a more cost-effective way. Unlike the conventional planar circuit, low-cost and highly sensitive misalignment sensor is required to detect imperfect placement of different micro-devices, which may be of the order of sub-micrometers. Currently, this is hardly to be achieved by using the existing approaches. In this letter, we present a novel sensor design approach utilizing the parasitic capacitance of an integrated coupled-line resonator for misalignment sensing. Due to vertical misalignment between two metal strips, the parasitic capacitance of the sensor varies, which results in a resonance shift from 53 to 68 GHz, while a reasonably strong transmission notch is still maintained. Taking advantage of this principle, misalignment can be effectively detected. To prove the concept, several devices are fabricated in a standard silicon technology. Three samples with the same structure are used to evaluate the reliability, while eight different structures are used to verify the concept. All results are extensively validated through both simulation and measurements. © 2017 IEEE. In this letter, the possibility of using device-free sensing (DFS) technology for personnel detection in a foliage environment is investigated. Although the conventional algorithm that based on statistical properties of the received-signal strength (RSS) for target detection at indoor or open-field environment has come a long way in recent years, it is still questionable if this algorithm is fully functional at outdoor with the changing atmosphere and ground conditions, such as a foliage environment. To answer this question, a variety of the measured data have been taken using different targets in a foliage environment. Applying these data along with support vector machine, the impact on detection accuracy due to different classification algorithms is studied. An algorithm that based on the extraction of the high-order cumulant (HOC) of the signals is presented, while the conventional RSS-based one is used as a benchmark. The measurement results show that the classification accuracy of the HOC-based algorithm is better than the RSS-based one by at least 17%. Moreover, to ensure the reliability of the HOC-based approach, the impact on classification accuracy due to different numbers of training samples and different values of signal-to-noise ratio is extensively verified using experimentally recorded samples. To the best of our knowledge, this is the first time that a DFS-based sensing approach is demonstrated to have a potential to distinguish between human and small-animal targets in a foliage environment. © 2017 IEEE. An on-chip bandpass filter (BPF) is designed and fabricated in a 0.13-m SiGe (Bi)-CMOS technology. This BPF consists of a broadside-coupled meander-line resonator (BCMLR) in conjunction with a defected-ground structure (DGS). By simply grounding a BCMLR, the resonator can be converted into a BPF. Further applying a DGS to this BPF, an additional transmission zero can be generated in the high-frequency band. To understand the fundamentals of this design, an $LC$-equivalent circuit is given for investigation of the transmission zeros and poles. The measured results show that the BPF has a center frequency at 33 GHz with a bandwidth of 18%. The minimum insertion loss is 2.6 dB, while the maximum stopband attenuation is 44 dB. The chip size, excluding the pads, is only 0.038 mm 2 ( 0.126×0.3 mm 2 ). © 2017 IEEE. A novel compact dual-band cavity-backed substrate integrated waveguide (SIW) array antenna using high-order radiation modes has been proposed in this paper. The first high-order hybrid mode (superposition of TM 310 and TM 130 ) and the second high-order mode (TM 320 ) of K-band in the SIW cavity are excited by an inductive window for dual-band application. The operation mechanism of high-order modes is analyzed and then verified through simulations by inserting metallic vias in different positions of the resonant SIW cavity. The designed subarray antenna has the advantages of high gain, high front-to-back ratio, and low cross-polarization level. To further validate the design idea, a dual-frequency band $2 \times 2$ array antenna has been fabricated and measured including reflection coefficients, realized gains, and radiation patterns. The measured results show that the 10-dB impedance bandwidths at resonant frequencies of 21 and 26 GHz are 800 MHz (3.7%) and 700 MHz (2.6%), and the realized gains at boresight direction are around 16 and 17.4 dBi, respectively. Moreover, the proposed array antenna also possesses both advantages of metallic cavity-backed antennas and planar patch antennas, such as low cost, easy fabrication with the printed circuit board technology, and integration with other planar circuits. © 2017 Wiley Periodicals, Inc. A novel continuously tunable lowpass filter (LPF) with compact size, sharp roll-off and low insertion loss is presented in this paper. The filter employs two varactor diodes, a pair of open-ended coupled lines and a U-shape step impedance line (SIL) with an open-ended stub loaded at the center of the SIL to form a very compact layout. The odd- and even-mode analysis and equivalent circuit model are demonstrated for estimation of the transmission characteristics. Tuning the DC voltage applied on the varactor diodes, the varactor capacitance accordingly changes leading to a varying cutoff frequency f c . The measured results show that the achieved 3-dB f c tuning range is 60.6% (1.15–2.15 GHz). The measured insertion loss (IL) and roll-off rate are 0.2-0.4 dB and 50–73 dB/GHz, respectively. The overall size of the LPF is only 0.005 g 2 , which shows a competitive advantage comparing with the state-of-the-art work. © 2013 IEEE. This paper presents a new class of second-order individually and continuously tunable dual- and triple-band bandpass filters in a single metal cavity. Each passband is realized by two identical metal posts. These dual- and triple-band tunable filters are achieved by putting two or three identical sets of metal-post pair in a single metal cavity. Metal screws are co-designed as a part of the metal posts to control their insertion depth inside the cavity. In this way, the resonant frequencies can be continuously controlled and designed at the desired frequency bands. Moreover, the distance between the two metal posts in a post pair can be freely tuned. Thus, the external quality factor (Q e ) and coupling coefficient (k) between the adjacent modes can be easily adjusted to meet the specified requirement in synthesis design. At the bottom of the cavity, some grooves are used to extend the tunable frequency range and make the resonant frequency linearly varied with the height of the metal post. The center frequency of each passband can be independently tuned with a frequency range of 0.8-3.2 GHz and tunable ratio of 4. Finally, the continuously tunable dual- and triple-band bandpass filters prototypes with second order response are designed and fabricated, of which each passband can be individually tuned with a large tuning range. © 2017 Elsevier B.V. The explosion of different types of wireless communications is leading to an impending spectrum famine. As a result, spectrum sensing has gained increasing interest from governments, industry and regulators. In this paper, a novel approach for cooperative spectrum sensing is proposed based on a modified shuffled frog leaping algorithm (SFLA). This approach is to fuse the perceived results of multiple nodes, and to improve the detection reliability. Simulations are used to compare the performance of the modified SFLA to the conventional one. The performance of the proposed cooperative spectrum sensing method based on the modified SFLA and that of the cooperative spectrum sensing method using modified deflection coefficient (MDC) are also compared. Results show that the proposed SFLA outperforms the traditional SFLA, and the proposed cooperative spectrum sensing method based on the modified SFLA gives higher miss detection probability than the MDC-based method, which validates the effectiveness of the modified SFLA-based cooperative sensing method. A novel design of boresight and conical pattern reconfigurable antenna with the capability of 360° polarization scanning is presented in this paper. At boresight mode, the antenna produces a continuously reconfigurable polarization over 360° in the azimuth plane, which provides adaptive-polarization reception between a transmitter and a receiver. The antenna is analyzed in terms of the electric field with an explanation of the generation of TM11 and TM02 resonant modes, which provides an innovative method of designing pattern reconfigurable antennas for the WLAN applications. The proposed method is validated by a good agreement between simulation and experimental results for an antenna designed to provide boresight and conical pattern switching at 2.4 GHz. The gain of 6.05 dBi and efficiency of 86.7% are measured in the boresight mode, corresponding to 4.39 dBi and 82.4% at conical mode. © 2013 IEEE. On the basis of doublet and its properties, a class of multiple-mode narrow band bandpasss filter is designed and fabricated by simultaneously exploiting the three resonant modes in a single rectangular cavity: TE 101 , TE 011 , and TM 110 modes. The input/output ports of the proposed filter are fed by coupling a microstrip line to a slot on the side wall of a rectangular cavity. Different modes are excited by changing the position and shape of the two slots at input and output of the rectangular cavity without any intra-cavity coupling. Besides three poles within the passband, a pair of transmission zeros (TZs) is achieved, which can be controlled independently by setting the positions of the two TZs at the lower and/or upper stopband. High stopband attenuation and high filtering selectivity are achieved by considerably allocating three transmission poles and two zeros. In order to verify the proposed theory, two filter prototypes are fabricated and measured. © 2017 IEEE. A dual-band antenna for off- and on-body communications in the 2.45- and 5.8-GHz Industrial, Scientific, and Medical bands is presented. The two radiation characteristics, i.e., patch-like radiation for the off-body link and monopole-like radiation for the on-body link, are achieved by utilizing inherently generated TM11 and TM02 modes of a circular patch antenna. A shorting pin and two arc-shaped slots are employed to tune both modes to the desired operating frequencies. This approach allows a realization of a dual-band dual-mode antenna with a very simple structure, i.e., a single radiator with a simple feed. A further advantage of the proposed antenna is its realization using a silver fabric integrated onto a flexible polydimethylsiloxane substrate that makes it more practical for wearable applications. An experimental investigation of the antenna performance has been carried out in free space and on a semisolid human muscle equivalent phantom, which shows a robust performance against the human body loading effect. When placed on the phantom, the measured bandwidths of 84 and 247 MHz in the 2.45- and 5.8-GHz bands, respectively, are achieved with the corresponding peak gains of 4.16 and 4.34 dBi, indicating a promising candidate for body-centric communications. A novel wireless transducer that uses analog-based technology at 2.4 GHz is presented in this letter. The transducer consists of an electrocardiography (ECG) detection circuit and a novel three-stage amplitude modulation transmitter that up-converts the ECG signal to a 2.4-GHz carrier frequency. To minimize the effects due to local oscillator leakage as well as the interference at the image frequency, the intermediate frequency is carefully selected, and a bandpass filter with a very sharp selectivity is designed. As demonstrated by the experimental results, the full-wave ECG signals can be successfully demodulated from the transmitted signal using the presented transducer. This enables the possibility of using analog-based technology for remote patient monitoring in real time. An on-chip resonator is designed and fabricated using a standard 0.13-m SiGe technology for millimeter-wave applications. The designed resonator is based on a unique structure, which consists of two broadside-coupled meander lines with opposite orientation. The equivalent LC circuit of the resonator is given, while the impact of the structure on the resonance frequencies is investigated. Using this structure along with capacitors, a compact bandpass filter (BPF) is also designed and fabricated. The measured results show that the resonator can generate a resonance at 57 GHz with the attenuation better than 13.7 dB, while the BPF has a center frequency at 31 GHz and a insertion loss of 2.4 dB. The chip size of both the resonator and the BPF, excluding the pads, is only 0.024 mm2 (0.09×0.27 mm2). In RFID reader systems, power amplifier plays a critical rule for efficiency enhancement. A high efficiency power amplifier may not only increase the life expectancy of portable RFID devices but also reduce the reliance on heat sinks. Heat sinks usually occupy plenty of space and lead to packing difficulties. A well-designed power amplifier with high efficiency and output power may also increase the reading range of RFID and system reliability, especially for the applications requiring long reading range (e.g. vehicle tagging in complicated traffics) or in a lossy environment (e.g. in sensing in rainy weather). This chapter systematically introduces the typical power amplifiers classified as Class A, AB, B, E, and F. The principles of Class F are emphasized due to its outstanding performance in efficiency enhancement. A practical design example is also presented, and also some recent typical techniques for improving the performances of Class F power amplifier are summarized. © 2012, IGI Global. Sleep apnea is a severe, potentially life-threatening condition that requires immediate medical attention. In this chapter, a novel wireless sleep apnea monitoring system is proposed to avoid uncomfortable sleep in an unfamiliar sleep laboratory in traditional PSG-based wired monitoring systems. In wireless sleep apnea monitoring system, signal propagation paths may be affected by fading because of reflection, diffraction, energy absorption, shadowing by the body, body movement, and the surrounding environment. To combat the fading effect in WBSN, the MIMO technology is introduced in this chapter. In addition, the presented active RFID based system is composed of two main parts. The first is an on-body sensor system; the second is a reader and base station. In order to minimize the physical size of the on-body sensors and to avoid interference with 2.4 GHz wireless applications, the system is designed to operate in the 5.8 GHz ISM band. Each on-body sensor system consists of a physiological signal detection circuit, an analogue-to-digital convertor (ADC), a microcontroller (MCU), a transceiver, a channel selection bandpass filter (BPF), and a narrow band antenna. © 2013, IGI Global. © 2018 IEEE. In this paper, a low phase noise VCO employing tunable stubs loaded nested split-ring resonator (SLNSRR) has been proposed By loading anti-pair varactors at each side of the SLNSRR, the center frequency of the SLNSRR filter can be tuned from 1.82 GHz to 2.18 GHz. In the oscillator design, the tunable SLNSRR filter is used as a frequency stable element to select the oscillation frequency while keeping the low phase noise performance. To validate the method, an L-band to S-band VCO is designed, fabricated and measured. The measured results show that the proposed VCO has a frequency tuning range from 1.787 GHz to 2.117 GHz with a 16.9 % bandwidth. Over this frequency range, the phase noises measured at 1 MHz frequency offset are better than -113.49 dBc/Hz. © 2013 IEEE. A wideband and high gain cavity-backed 4 × 4 patch antenna array is proposed in this paper. Each patch antenna element of the array is enclosed by a rectangular cavity and differentially-fed by the slot underneath. By optimizing the geometry of the radiating patch and the cavity, a very uniform E-field distribution at the antenna aperture is achieved, leading to the high array aperture efficiency and thus the gain. Taking advantages of the higher-order substrate integrated cavity excitation, the elements of the array are efficiently fed with the same amplitude and phase in a simplified feeding mechanism instead of the conventional bulky and lossy power-splitter-based feeding network. Measured results show the antenna bandwidth is from 56 to 63.1-GHz (16.1%) with the peak gain reaching 21.4 dBi. The radiation patterns of the array are very stable over the entire frequency band and the cross-polarizations are as low as -30 dB. These good characteristics demonstrate that the proposed array can be a good candidate for the future 60-GHz communication system applications. © 2018 IEEE. In this paper, a novel frequency-tunable filter based low noise voltage-controlled oscillator (VCO) is proposed. The proposed tunable filter consists of a T-type resonator with four varactors and a pair of short-ended stubs connected with feedlines. High-Q can be achieved by introducing a transmission zero on the upper stopband, which can reduce the phase noise of the VCO. The whole size of the tunable filter is 0.0022g. The proposed VCO was fabricated and measured indicating a promising frequency-tuning range from 2.2 to 3.2 GHz with the second harmonic suppression level of better than 22 dB. The measured phase noise is -88-91.44dBc/Hz at 100KHz offset. © 2018 IEEE. A triple-mode cavity filter with narrow passband realized in a single rectangular metal cavity without any tune crews, coupling apertures, iris, and corner cuts is proposed in this paper, while three resonant modes are classified as a TM mode and a pair of TE modes, which are excited by two metal probes in one single cavity. At both the upper and lower stop-bands, two transmission zeros are created to achieve a considerable out-of-band suppression. To prove the concept, a prototype is fabricated by using the silver plated aluminum technology demonstrating a measured fractional bandwidth of 3.6% at the center frequency of 2.53 GHz. The measured and simulated results are presented in good agreement. © 2018 IEEE. Design of a broadband on-chip bandpass filter (BPF) using grounded ring resonator with capacitive loading technique is presented in this paper. To prove the concept, a standard 0.13-m (Bi)-CMOS technology is selected for implementation. To understand how to effectively optimize the designed BPF, parametric studies against some critical parameters are given by means of EM simulation. Finally, the implemented filter is fabricated. The measured results show that the BPF has a center frequency at 33 GHz with a bandwidth of 42.4%. The minimum insertion loss is 2.6 dB, while the stopband rejection is maintained to be better than 20 dB beyond 58 GHz. The chip, excluding the pads, is very compact at only 0.03 mm2 (0.11 × 0.28 mm2). © 2018 IEEE. This paper presents a low phase noise oscillator with high harmonic suppression employing a pair of substrate integrated waveguide (SIW) quarter-wavelength resonators (QWR) in the feedback loop of the oscillator. By tuning the width of the SIW-QWR based filter, the stopband bandwidth can be extended while maintaining the high group delay in the passband. Taking advantages of the proposed SIW-QWR, an X-band low phase noise oscillator with the second and third harmonic suppression is designed, fabricated and tested. The measured results show that the oscillator operates at 8.08 GHz with -2.14 dBm output power. The second and third harmonic suppression of the presented oscillator can reach to 39.23 dB and 67.64 dB, respectively, with a single SIW-QWR filter. The phase noise performance of the proposed oscillator are -109.94 dBc/Hz at 100 kHz frequency offset and - 130.36 dBc/Hz at 1 MHz frequency offset, respectively. © 2018 Institution of Engineering and Technology.All Rights Reserved. A novel reconfigurable antenna with the capability of 360-degree polarization scanning and the diversity of boresight and conical radiation patterns switching is presented in this paper. Each shorting-post is connected and controlled by a PIN diode to achieve the desired distribution of electric field null(s) in the substrate, where transverse magnetic (TM) modes switching between TM11 and TM02 can be accordingly realized corresponding to boresight and conical patterns. The antenna is analyzed in a cavity model, which, in terms of electric field, theoretically explains the generation of TM11 and TM02 resonant modes, and provides the audience with an innovative method of designing pattern reconfigurable antennas for the applications such as multiple-input and multiple-output (MIMO), wireless body sensor network (WBSN), Wi-Fi and WiMAX. The proposed antenna is with a competitive radius of 0.32 g. The antenna structure is very easy to be fabricated. The measurement shows that the antenna can realize a boresight and conical pattern reconfiguration at 2.4 GHz with a gain of 6 dBi and efficiency of 86.7% (boresight mode), and 4.39 dBi and efficiency of 82.4% (conical mode). © 2018 IEEE. This paper presents a recently proposed novel approach for pattern reconfigurable antenna designs. Individually associating a shorting post with an RF switch, the shorting post can be simply connected to the ground by turning the switch on or disconnected to the ground by turning the switch off. This approach has been successfully validated through two recently reported designs, for the implementations of transverse magnetic TM mode reconfiguration and 360° beam-steering. Simorangkir, RBVB, Yang, Y & Esselle, KP 2018, 'Robust implementation of flexible wearable antennas with PDMS-embedded conductive fabric', IET Conference Publications, London, UK. © Institution of Engineering and Technology.All Rights Reserved. In this paper, a new approach to fabricate a robust flexible body-worn antenna is introduced. It combines conductive fabric, used as the radiator, with polydimethylsiloxane (PDMS) utilized as the substrate as well as the encapsulation of the antenna. The mechanical and electrical characteristics of PDMS-embedded conductive fabric structures are firstly investigated, followed by the general steps of the antenna fabrication process. As concept demonstrations, two designs, dual-band dual-mode and frequency-reconfigurable patch antennas, have been fabricated. Experimental investigations on the antennas' RF performance (both in free space and on a muscle phantom) and mechanical stability are also demonstrated. The latter includes bending on human's arm-shaped phantom and machine-washing tests. The results demonstrated that the proposed method is applicable for realization of robust, flexible, not only passive but also active, wearable antennas. © 2018 IEEE. A new and simple fabrication method to realize robust flexible wearable antennas by combining conductive fabric and polydimethylsiloxane (PDMS) is proposed. The conductive fabric acts as the conductive part of the antenna, while PDMS acts as the substrate as well as the encapsulation layers. The method takes advantage of the porous structure of the conductive fabric and the initial liquid form of PDMS to attain a significantly strong integration between the two, leading to a robust PDMS-based wearable antenna. A number of patch antennas have been designed, fabricated, and tested to validate the proposed concept and the results are presented, showing robust performance. The fabricated prototypes have a resonance frequency approximately at 2.46 GHz with a 10 dB return-loss bandwidth ranging from 3.3 to 5.7%. © 2018 IEEE. The study of temperature rise distribution in the human eye under plane electromagnetic wave exposure up to 10 GHz is presented in this paper. The effects of different frequencies and different blood perfusion rates of sclera to thermal calculations are investigated by finite difference method. The results reveal that the changes in the thermal parameter produce a maximum relative standard deviation of ~15% in the temperature rise in lens. © 2018 IEEE. This paper introduces an on-chip third-order bandpass filter (BPF) for millimeter-wave (mm-wave) applications. The proposed BPF is composed of three identical broadside-coupled meander-line resonators (BCMLR) which are jointly connected by three MIM capacitors through aT-shape network. The MIM capacitors are used as J-inverters for the implementation of the third-order BPF in order to achieve the desired multiple transmission poles and zeros across the passband and stopband, correspondingly. To fully understand the operational mechanism of the proposed high-order structure, the resonator and the proposed BPF are analyzed using an LC- equivalent circuit model for further investigation of the distribution of the transmission poles and zeros in terms of the metal inductance and MIM capacitance. To prove the concept, the proposed BPF prototype is implemented in a commercial 0.13-l.lm SiGe (Bi)-CMOS process. According to the results obtained from on-wafer measurement, three transmission poles and three transmission zeros are clearly observed. Noticeably, the proposed BPF exhibits excellent performances including a flat in-band response (less than 1 dB attenuation) from 26.7 GHz to 44.3 GHz with a measured insertion loss of 3.1 dB at the center frequency of 35.5 GHz and stopband attenuation up to 35 dB at 59 GHz. The chip size is 0.016 mm2(0.066 × 0.236 mm-), excluding the GSG pads. Simorangkir, RBVB, Yang, Y & Esselle, K 2017, 'Active and Passive Antennas Based on Unconventional Materials, for Next Generation Wearable Wireless Devices (Invited Paper)', 2017 IEEE MTT-S International Microwave Symposium, Honolulu, Hawaii. In this paper, the millimeter-wave circuit miniaturization techniques using BCMLR and interdigital resonators are introduced. Using these structures, the physical size of the on-chip filter can be dramatically reduced. The designed BPFs are implemented in standard 0.13-m SiGe and 0.1-m GaAs technologies for concept approval. Compared with other state-of-the-art work at millimeter-wave frequencies, our proposed designs have the merits of ultra-compact size as small as 0.038 mm 2 , competitive insertion loss (1 dB in GaAs BPF) and harmonic suppression of more than 44 dB. A 320 GHz on-chip 2 × 2 antenna array employing a compact feeding network is presented in this paper. The feeding network is designed based on the conducted-back coplanar waveguide (CBCPW) transmission line with a compact size, which has the full shielding performance providing good isolation from circuits around or below the CBCPW transmission lines. The proposed on-chip feeding network and antenna array are fabricated using standard 0.13-m SiGe process. The antenna array is measured using a specially designed backside radiation measurement system. The simulated and measured results show that the backside radiation on-chip antenna array has a measured peak gain of 7.9 dBi at 320 GHz. © 2017 IEEE. This paper presents a design of a miniaturized resonator for millimeter-wave applications. The resonator is implemented in a standard 0.13m (Bi)CMOS technology. Its performance is verified using an EM simulator from NI-AWR. The designed resonator is based on a unique structure, a combination of spiral loop and meander line structure. The ground plane is characteristically altered with a ring defected ground structure (DGS) to enhance the overall performance. The resonator design exhibits tuning flexibility at its resonance frequency within the mm-wave spectrum that is proportional to its design dimension. By using capacitive feeding, the designed resonator generates one transmission zero at 60 GHz with insertion loss of -2.7 dB and -29.4 dB return loss respectively. The chip size of the resonator excluding the pads is only 116 m × 236 m (0.027mm2). © 2017 IEEE. In this paper, design of miniaturized on-chip quadrature hybrid branch-line coupler is investigated. The motivation of this work is to minimize the footprint of the designed coupler while maintaining high performance of the circuit in the mm-wave band spectrum. Three examples are implemented in a standard (Bi)-CMOS process for millimetre wave applications. Excluding the pads, the chip size of the conventional design is 0.35 mm2, and the proposed two other designs structures are 0.26 mm2and 0.21 mm2, respectively, which indicates an area reduction by 13% and 30% respectively. © 2018 Electromagnetics Academy. All rights reserved. Design of a miniaturized resonator and its application for dual-band bandpass filter design for millimeter-wave application is presented in this paper. Both the resonator and filter are implemented in a standard 0.13-m (Bi)-CMOS technology. The performance is extensively verified using an EM simulator from NI-AWR. Using the presented resonator structure, two transmission zeros can be generated and effectively controlled. By feeding the resonator using a capacitive coupling technique, a dual-band bandpass filter that operated at 40 GHz with insertion loss of 0.7 dB and at 71 GHz with insertion loss of 1.5 dB, respectively. The proposed design achieves a reduced layout size of 302 m × 131 m.
© 2017 IEEE. The full potential of active device in current Si-based technology has almost reached its limit. However, the passive devices that are integrated with transistors in the same technology have yet been fully explored. Improving the quality of on-chip passive devices is not only beneficial for energy efficiency, but also has significant meaning in cost reduction for a system-on-chip (SoC) solution while the passive circuits are miniaturized. A review of on-chip circuit miniaturization techniques for bandpass filter (BPF) design is demonstrated in this paper. Although the recently presented broadside-coupled meander line resonator (BCMLR) is very compact, the stopband attenuation is quite limited. To solve this issue, a ring-based structure is studied in this work. Using this approach, the size of the proposed millimeter-wave on-chip BPF can be significantly reduced due to the multi-mode characteristics of the proposed resonators, of which the equivalent circuits can be effectively modeled through the accurately extracted lumped components values. Our works exhibit excellent performance comparing with the state-of-the-art designs. © 2017 IEEE. A variety of multiple-mode narrow-band bandpasss filer is designed, analyzed, and fabricated based on doublet and its properties. Three resonant modes: TE101, TE011and TM110 modes in a single cavity are excited. The proposed filters use a microstrip line as a feeder then couple to a slot on one side of a single rectangular cavity. By rotating and offsetting two slots at the input port and output port of the rectangular cavity, three fundamental modes are implemented without any cross-coupling. The proposed structure also create two transmission zeros (TZs), by adjusting the positions of the two TZs near the passband, e.g., at lower or upper stopband, high rejection is achieved. Due to emergence of the three resonant modes and realization of a pair of TZs, a high attenuation and sharp filtering selectivity is achieved. Good agreement between measurement and simulation is achieved. © 2017 Euraap. In this paper the performance of TM21 resonance-mode circular patch antennas embroidered with different stitching patterns is discussed and compared. The goal is to investigate the difference in the performance when the antenna is embroidered with stitches following the antenna current paths as opposed to some simple patterns such as horizontal and vertical ones. This creates an alternative solution for embroidering prototypes of wearable antennas with complicated current distributions. The results reveal that by embroidering the antenna in line with the complex TM21 current distribution a good monopole-like radiation pattern is achieved, which is close to an etched copper prototype's used as the reference. However, with a dense horizontal stitching pattern an acceptable monopole-like radiation pattern can also be achieved with quite good gain and efficiency. While simplifying the embroidery process, the use of the simple horizontal pattern with high density suffers from high cross-polarization and thread consumption as compromises. © 2016 IEEE. This paper proposed a novel broadside-coupled meander-line resonator (BCMLR) for millimeter-wave (mm-wave) passive and active circuit designs. This on-chip resonator is designed and fabricated using a 0.13m SiGe technology. The proposed BCMLR consists of two broadside-coupled meander lines with opposite orientation. Applying this resonator with on-chip capacitors, a compact first-order and a second-order on-chip bandpass filters (BPFs) are designed. The measured results illustrate that the resonator can generate a resonance at 57 GHz with attenuation of 13.7 dB. The BCMLR based BPFs with excellent measured results are also presented in the paper as an example of applying the BCMLR in MMIC circuits designs. The chip size of both the BCMLR and the BPF, excluding the pads, is only 0.024 mm2 (0.09 × 0.27mm2). © 2016 IEEE. Design of an inductor-less wideband variable-gain amplifier (VGA) using a cell-based strategy is presented. The VGA has a measured gain range of 24 dB, of which 17.3 dB is dB-linear with less than ±0.3 dB gain error. The -3 dB bandwidth is from 2 GHz to 2.2 GHz for the entire dB-linear range. An output 1 dB compression point of 1.8 dBm and a noise figure of 24 dB are measured. Due to the simple structure, the current consumption of the VGA core is only 2.9 mA from a 1.2 V supply, and the size is only 225 m × 45 m, excluding pads. © 2016 IEEE. This paper presents an Integrated on-chip balun design for millimeter-wave applications. The balun is designed and fabricated in a standard silicon-germanium technology. The designed balun is based on a coupled-line structure, which consists of two edge-coupled meander lines along with a solid ground plane. The simulation shows that the proposed balun covers the bandwidth from 30 GHz to above 100 GHz. Within this frequency range, the magnitude error and phase error are 0.3 dB and 4°, respectively. The insertion loss of the balun is better than 5 dB at the center of the band. The size of the balun is only 500 m × 400 m, excluding the pads. © 2016 IEEE. This paper proposed a novel internally pre-matching network for high power and high efficiency power amplifier design. Based on this matching network, a push-pull GaN power amplifier with the high saturated output power of 805 W and peak PAE of 74.5% is realized. The proposed power amplifier can provide a relatively stable output power above 58.5 dBm (707 W) in the band of 400 MHz to 500 MHz while maintain a stable gain above 17.5 dB. © 2016 IEEE. This paper proposed a novel modeling method of bonding wires array for internally matched network for high power and high efficiency power amplifier design. Based on this modeling method, a 120 W X-band internally-matched AlGaN/GaN PA under continues wave (CW) condition is presented. The proposed power amplifier can provide a relatively stable output power above 50.6 dBm (115 W) and power added efficiency above 42% from 7.7 GHz to 8.7 GHz, while maintain a stable gain above 10.1 dB. This work is relatively competitive comparing with other state-of-the-art works. © 2016 European Association of Antennas and Propagation. By utilizing inherently generated TM11 and TM02 modes of a patch antenna, a new dual-band dual-mode antenna is proposed for off-/on-body centric communication. The antenna consists of a simple probe-fed circular patch with a shorting pin and two arc-shaped slots, which are added to tune the resonances of the corresponding modes to the desired frequencies of 2.45 and 5.8 GHz. A broadside radiation pattern suitable for off-body communication and a monopole-like radiation pattern for on-body communication are thereby provided at each frequency, respectively. To determine the human body's effect on the antenna performance, a study has been conducted through simulations in both free space and on a human body-equivalent phantom. The results reveal a robust performance of the antenna against the human body loading, which indicates that the proposed antenna is a very promising candidate for body centric communications. © 2015 IEEE. A novel idea of applying a proposed radio frequency transducer architecture for wireless monitoring of sleep apnoea patients has been presented in this article. The architecture has been realized on a primary prototype and tested from baseband to 2.5 GHz band. The experimental results prove that this architecture can be used for wireless sleep apnoea monitoring for the design of each portable transducer. The architecture will be finally realized on a system-on-chip prototype. A novel portable wireless monitoring system for sleep apnoea diagnosis is presented in this paper. The presented system is composed of two main parts. The first is an on-body sensor system; the second is a reader and base station. In order to minimize the physical size of the on-body sensors and to avoid interference with 2.4 GHz wireless applications, the system is designed to operate in the 5.8 GHz ISM band. Each on-body sensor system consists of a physiological signal detection circuit, an analogue-to-digital convertor (ADC), a microcontroller (MCU), a transceiver, a channel selection bandpass filter (BPF) and a narrow band antenna. The reader uses 6 narrow band antennas, 6 channel selection BPFs, a transceiver and a MCU. Instead of dealing with channel selection at baseband, multiple passive BPFs at the RF front-end are adopted to select the desired signals, in order to minimize the power consumption and cost of the overall system. Moreover, a 5.8 GHz circular patch antenna is simulated and measured. Both the simulated return loss of 21 dB and the measured one of 26 dB have a 10 dB bandwidth of 140 MHz which satisfies the requirements for the reader system. The measured antenna gain from 5.725 GHz to 5.875 GHz is more than 7.5 dBi. Furthermore, the 3 dB beam-width is about 60° and the front to back ratio is 14 dB. © 2011 Engineers Australia. UWB chipless RFID receivers require compact and low cost integration solutions aiming at improving the signal integrity. A wide stopband, high selectivity and compact microstrip lowpass filter (LPF) is therefore needed. A combination of compact microstrip resonant cells (CMRCs) and uniquely shaped defect ground structures (DGS) are used in present LPF design to optimize the filter performances. The stopband with an attenuation level lower than 20 dB is obtained from 3.1 GHz up to 20 GHz. Both simulated and measured results are presented, showing a good agreement between simulation and measurement. © 2011 Engineers Australia. In this paper, a novel high selectivity compact dual planar microstrip bandpass filter (BPF) with compact ring resonator and two uniquely designed defected ground structures (DGSs) is proposed. By employing the inter-digital and spiral DGSs, the filter selectivity can be significantly enhanced with a wide suppression of higher order harmonics. The filter has a selectivity of 220 dB/GHz, passband insertion loss (IL) of 1.55 dB and bandwidth of 61 MHz at 2.53 GHz. Moreover, the proposed compact ring resonator saves 70.5% area compared to a conventional ring resonator. The significance of this BPF to be applied in wireless telemetry monitoring systems has been introduced in this paper. © 2011 Engineers Australia. This paper proposes a parameter-dependent approach to robust fault detection and estimation problem for linear time-invariant (LTI) systems. The unknown input, actuator faults, sensor faults and disturbances are considered in our design. Through Projection lemma, we provide a sufficient affine matrix inequality for the integrated system in order to achieve robust performance criterion. In stead of obtaining the optimal solution by quadratic approach, we have used a parameter-dependent lyapunov approach which aimed at eliminating the involved coupling between system matrices and the lyapunov matrices; hence the conservativeness due to quadratic approach can be dramatically reduced. We present a design example in which we apply our method to a helicopter model. © 2008 IEEE. Simorangkir, RBVB, Yang, Y, Esselle, K & Diao, Y 2017, 'A Varactor-Tuned Frequency-Reconfigurable Fabric Antenna Embedded in Polymer: Assessment of Suitability for Wearable Applications (TU3C)'.